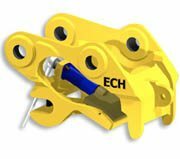 Quick Hitches | Earthmoving Wearparts and Attachments Pty Ltd.
Quick Hitches are used on earthmoving machines for ease and speed of attachment removal and change. 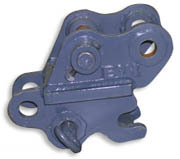 These devices depend on positive hydraulic pressure and mechanical locks to hold on to buckets and other attachments. 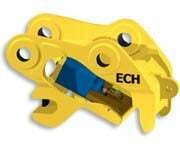 When quick hitch devices are used they must comply with the Occupational Health and Safety Act. 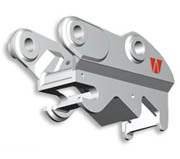 Available in Manual, Mechanical and Hydraulic.